Breaking News, Viral Lists, Awesome Polls and Popular Videos. Buzzy brings all of these contents into one system. 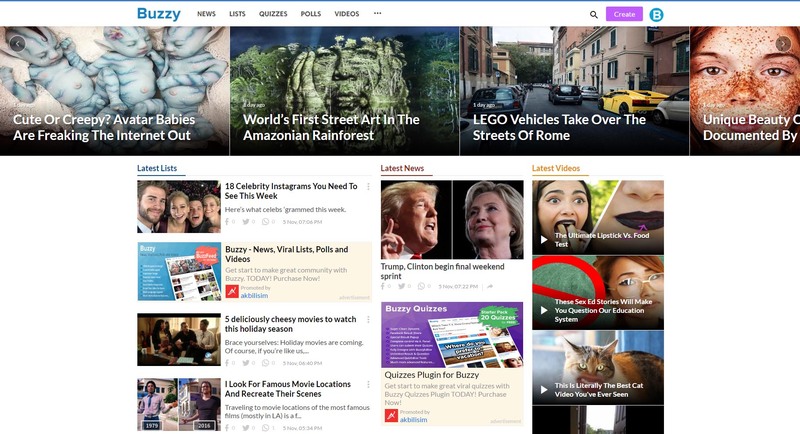 Create beautiful viral websites like BuzzFeed with Buzzy! You have advanced tools to do that. With Great Post Editor, Powerful Admin Panel and Impressive Design. You will think big! Get start to make great community with Buzzy.TODAY! – Added: “Get content from the URL” button for BuzzyEditor. You can recreate existed post on site. – Added: You can select multiple categories.